The Hilton Hotel Dublin Airport is situated 5 Km from the Airport. 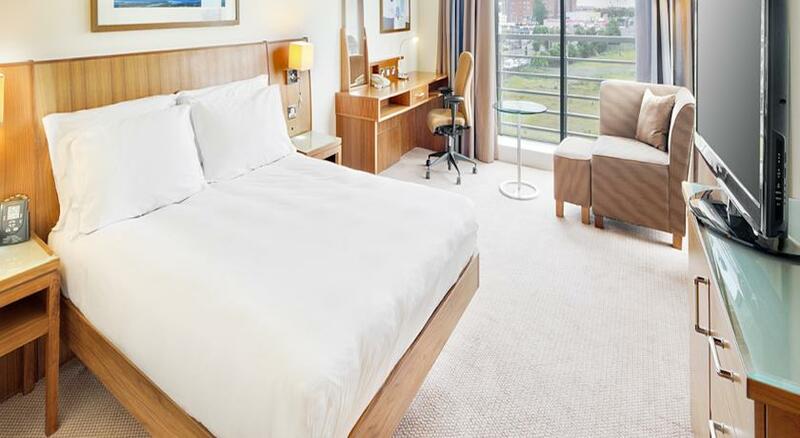 This 4 star Dublin Airport hotel is located on the Malahide road which leads directly into Dublin City. There are 9 meeting rooms at The Hilton which include wireless Internet access for 18 to 350 people. This Dublin hotel has the fully equipped LivingWell™ Express Gym with cardiovascular equipment. There is an airport shuttle service which gets guests to the airport in a short time. There is onsite paid parking at the hotel. The hotel has a business centre for meetings and events. The 166 spacious guest rooms have floor-to-ceiling soundproof windows making them really bright and fresh and they have WiFi access and a large 37-inch flat-screen TV with cable channels. All rooms are ensuite with all the accessories you would expect from a quality 4 star hotel in Dublin Airport with the renowned Hilton name. The choice of rooms at The Hilton Dublin Airport includes Twin, Double, Family and Suites and a Deluxe option can be specified. You can enjoy a relaxing drink in the Burnell Bar & Grill with its wide leather, velvet sofas and chairs by the open fireplace. The restaurant serves a hearty breakfast, light snackslunches and full meals. Malahide Castle and Malahide Road Industrial Park are nearby and there is easy access to the city centre.